The first day I notice a flash of red or yellow among the tones of green in the woods, it is always a surprise to realize that summer’s end is drawing near. Soon the tawny colors of Autumn will paint the landscape…Nature will get our attention with a visual reminder that life will always include changes–transitions from one season to another. 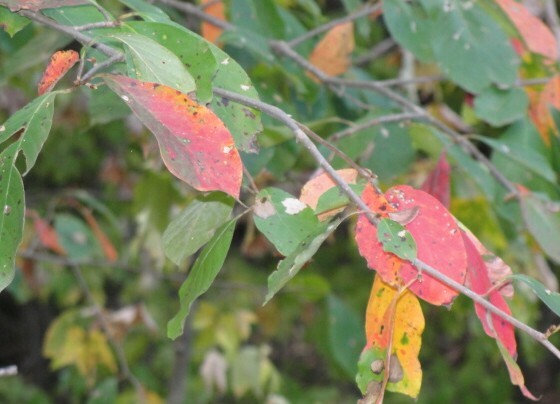 This seasonal transition has also served as inspiration for many artists over the years. In a past fall season, after collecting some of the first colorful fall leaves, I traced and used their shapes to design these wall-hangings. 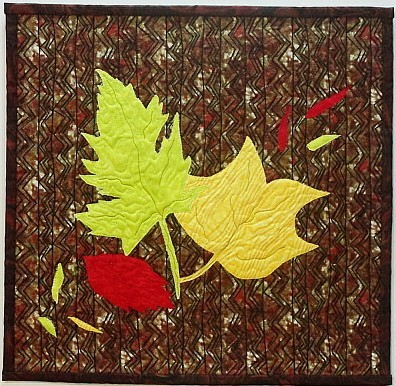 The same leaves were used in both but experimenting with different types of prints, color, and quilting lines resulted in two variations on the same theme. First Colors of Autumn, #1. Fused appliqué, free-motion quilting on cotton, 22 x 20 1/4". © 2009 Joni Beach. First Colors of Autumn, #2. 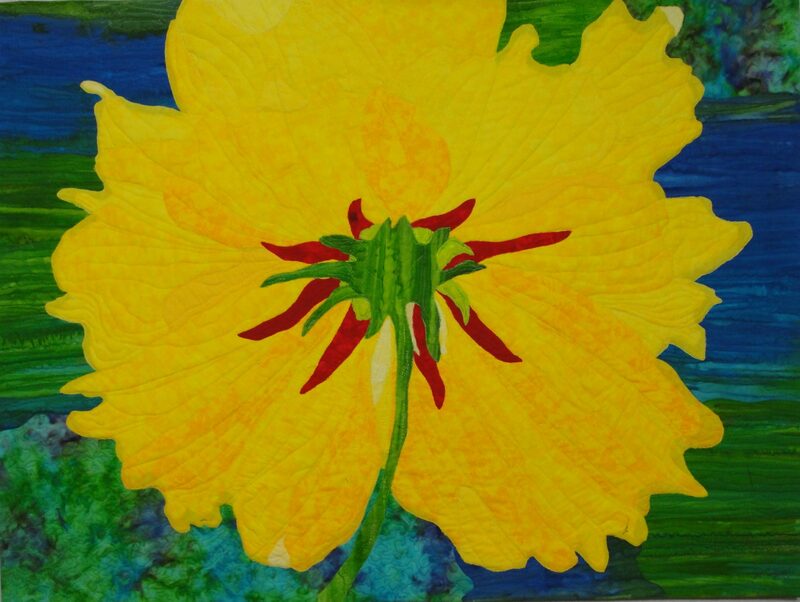 Fused appliqué, free-motion quilting on cotton, 17 1/4×17″. © 2009 Joni Beach. along with the many transitions in life. you make complicated stuff (quilting) look easy, and very beautiful! They are so beautiful. I too love the fall. What beauty and vibrant colors. Next PostNext SAQA’s Benefit Auction Begins Soon!